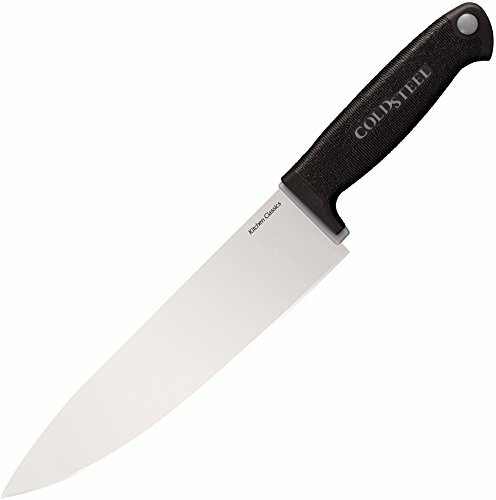 Cold Steel Kitchen Classics Chef Knife, 13"
The Cold Steel kitchen classics chefs knife features an overall length of 13" and an 8" high performance ice tempered, cryo-quenched and precision flat ground 400 Series steel blade for exceptional cutting performance. Comes with a razor sharp edge that lasts and lasts. Cold Steel 49LRTZ Recon Tanto Fixed Blade 11-3/4" Length with Sheath, Black, 7"